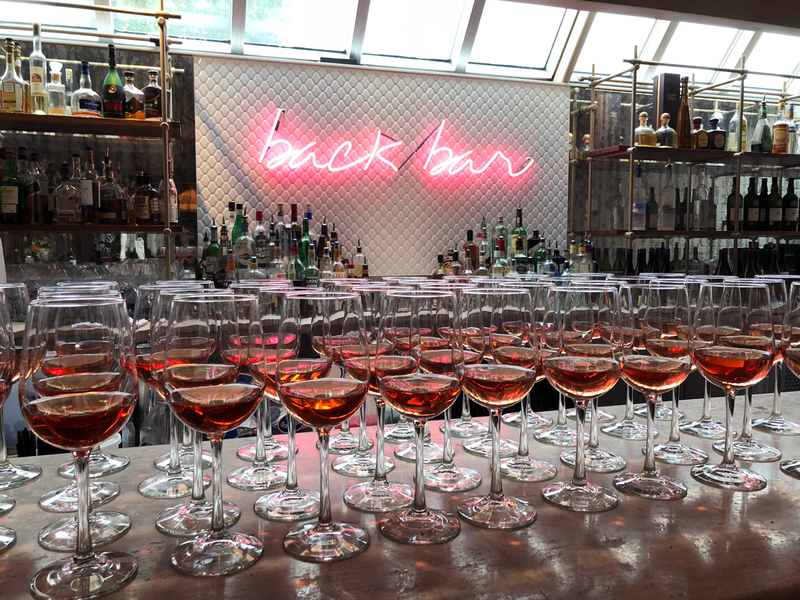 The night featured an exclusive five-course dinner at Alloy, which has been named one of Calgary’s top restaurants for several years. This year, six of Calgary’s 25 best restaurants are taking part in Avenue‘s annual Dinner Series. The series features six different dining experiences where guests are treated to an exclusive multi-course dinner at an acclaimed local restaurant. The fourth dinner in the series was held on August 15th at Alloy. 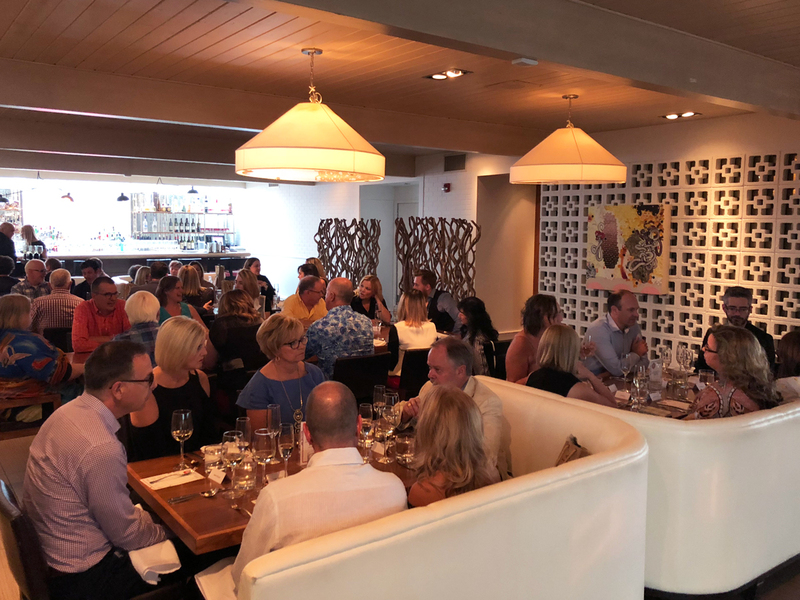 It was a smoky evening in Calgary, but that didn’t stop guests from having a great night inside Alloy’s beautiful dining room. The evening began with a glass of Prosecco from Giusti Wine before guests settled in for a five-course dinner with wine and cocktail pairings. 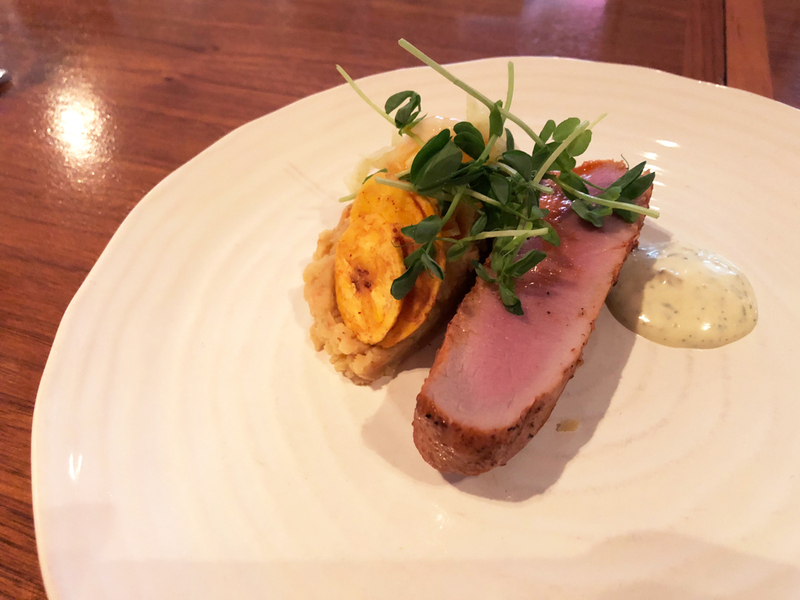 The five-course dinner was inspired by chef Rogelio Herrera’s heritage, featuring wild prawn aguachile, chicken mole, pork achiote, filete de beef and a rum and raisin banana bread pudding for dessert. Don’t miss your chance to experience one of these exclusive dining experiences. Avenue‘s next Dinner Series event is at Rouge on September 18th. Click here for more information and to buy tickets. The first four courses featured a wine pairing, while the final dessert course was accompanied by a ginger peach dessert cocktail. 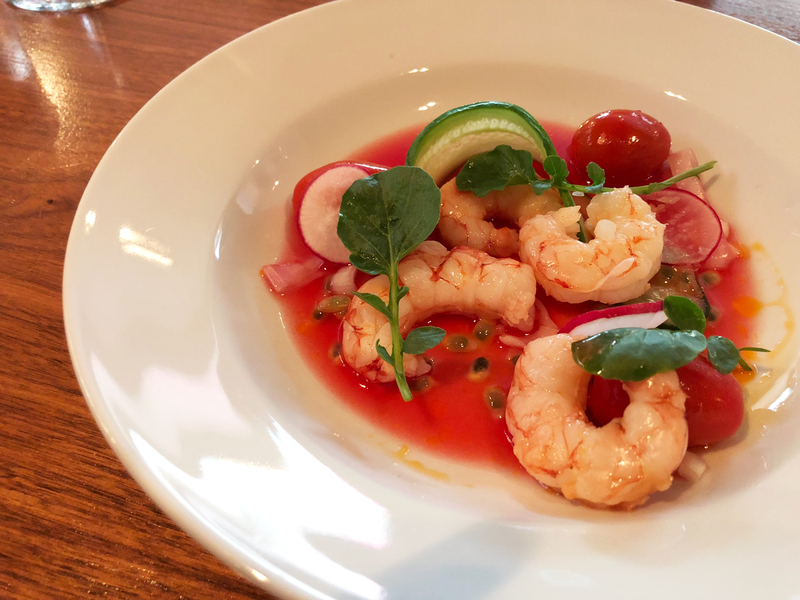 Wild prawn aguachile with passionfruit, candied tomatoes, pickled shallot and berro greens. 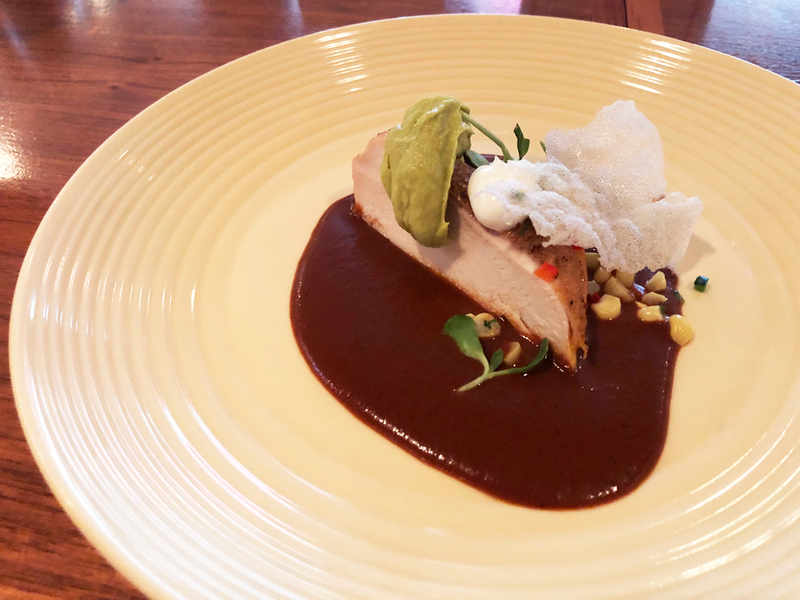 Chicken mole with mint lime corn salsa, crema agria, avocado and corn crisps and chile de arbol. Pork achiote with red lentils, plantains, cilantro and orange emulsion and rocoto fennel slaw. 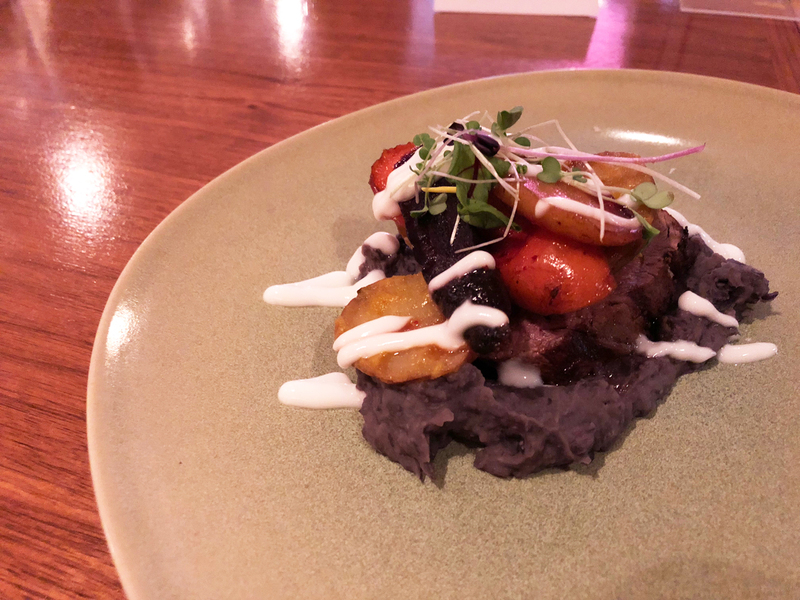 Filete de beef with papa cambray, black bean pure, yogurt, tomatoes and agridulce heirloom carrots. 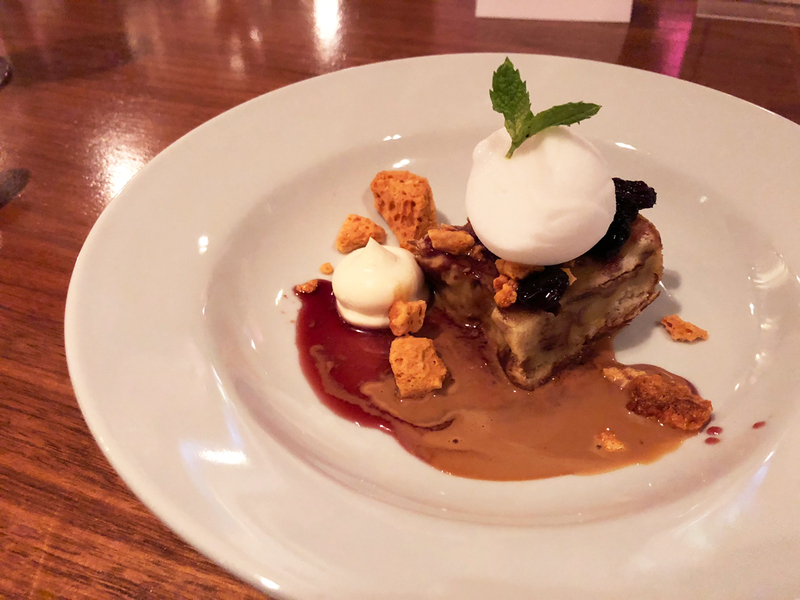 Borracho, a rum and raisin banana bread pudding with coconut sorbet and dulce de leche.